Here are excerpts from the Abstracts of two studies about the effects of heat on spirochetes, and consequently, on treating Lyme disease. Here is an excerpt from the Abstract: “The low tolerance of spirochetes for high temperatures is well known and may explain in part the restricted distribution of B. burgdorferi to temperate latitudes and its absence in the tropics, where infected ticks may be exposed to high temperatures detrimental to spirochete survival. 2. Here is an excerpt from the second Abstract: Antibiotics and increased temperature against Borrelia burgdorferi in vitro. 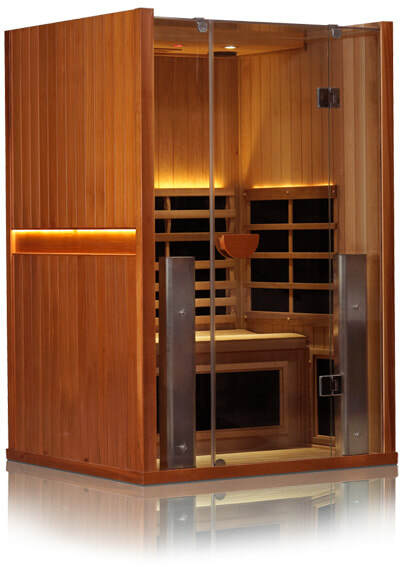 ​Use of a full spectrum infrared sauna heats the body directly, instead of the air, so temperatures inside the sauna, although warm, remain tolerable for longer periods of time. The results are in: major scientific studies are proving that our bodies have become the dumping grounds for chemicals such as PCBs, dioxin, pesticides, herbicides and more. We are paying the price in our health as chronic degenerative diseases are increasing along with the unprecedented levels of toxins in our bodies. Cancer, heart disease, diabetes, chronic fatigue and general low immune function are at epidemic levels. Toxins come from the food we eat, the water we drink and the air we breath. Toxins also are a normal part of regular metabolism, and the body is able to eliminate these toxins through the liver, kidneys, lungs and skin. However, our lifestyles contribute to an over-whelmed system and therefore, poor detoxification due to dehydration, constipation, lack of exercise and consumption of a low-fiber, low-nutrient, processed food diet. In order to regain and maintain our health, these toxins that pollute the blood and tissues need to be eliminated. We also need to nourish our bodies with high-nutrient whole foods, pure water and exercise.